What comes to mind when you think of an adjective? Perhaps a color, or something that describes a noun but they can be more complex particularly so in Japanese. Because of the lengthy nature of this subject, it has been divided into three easy to follow lessons. We do encourage students to read through the entire lesson before asking for help as some information may only make sense by reading further. However it is always up to the student and there’s no shame in asking questions. After studying this entire lesson, you will be able to understand sentence structures much better and be capable of formulating both practical and complex sentences of your own. Let’s begin. Adjectives are words that describe a noun such as hot in “This bowl is hot”. They can also function as verbs if they are utilized as predicates. We will walk through this path with detailed explanations and many examples, please do not worry. These adjectives are quite easy to understand and it should be fairly straight forward what their relationships are to one-another. Adjectives have two types which either end with [ i ] or they don’t. Their purpose will be explained soon enough but first let’s go over the adjectives in the chart above and see what they are in Japanese. Did you notice that some of the adjectives ended with an [ i ] while others did not? Let’s dive deeper and begin with the i-adjective. As we’ve already discussed, the i-adjectives in almost all cases will end with [ i ]. You may find this very interesting but i-adjectives are generally Japanese adjectives while な adjectives are foreign words such as Chinese origin. This is why な adjectives typically contain kanji while い adjectives generally use ひらがな. Unlike i-adjectives, な-adjectives don’t have a pre-defined ending but certainly can end with い in some cases. Adjectives can be used to modify a noun or as a predicate. Let’s shine light to this concept by illustrating the differences between the two. Example 1:	The brown chair. Example 2:	The red car. Example 1:	The chair is brown. Example 2:	The car is red. While both sentences may seemingly have the same meaning, they do not. In the first set, the adjective is modifying the chair to be brown. In the second set, we are stating that the chair is brown. The placement can give a different meaning to a sentence particularly when the sentence is more complex as we are about to see. Example 1: The brown chair needs to be replaced. Example 2:	I was told the chair is brown. The difference of when an adjective is a true adjective and when an adjective becomes a predicate became very evident in these two examples. Predicates are generally used to state a reason about the given topic. We know from the previous example that “The car is red” and the adjective “red” was used as a predicate because it came after the noun. The adjective “aka” is Japanese for red but earlier we’ve seen aka written as あかい. It is an i-adjective but when an i-adjective is used as a predicate, the last [ i ] is removed and ですis appended. It is also possible to use other forms of です for degrees of politeness as we will be discussing later. When a な-adjective is used as a predicate, the な is dropped and just like the い- adjective, a form of ですis appended. After practicing a few examples, we will learn more about the differences between different adjective types and how to use them differently. Now it's your turn to practice! In this portion of the lesson, we will be filling in the blanks and using adjectives as a predicate. We will use both い and な adjectives. They will be defined for conditioning but try to locate which ones are what type of adjectives on your own. Using the adjectives given above, fill in the blanks in the sentence below. Kindly note that we should be using kanji rather than kana as kanji has a good way for explaining word meaning better. However, for the time being we will utilize kana until we learn the correct kanji. Before proceeding, let’s review on a few key elements. 2. な-adjectives don’t have a specified ending, and can end with い at times. 3. When い-adjectives are used as a predicate (after the topic), the last い is removed and a copula is appended but if it comes before the topic, it does not change. 4. 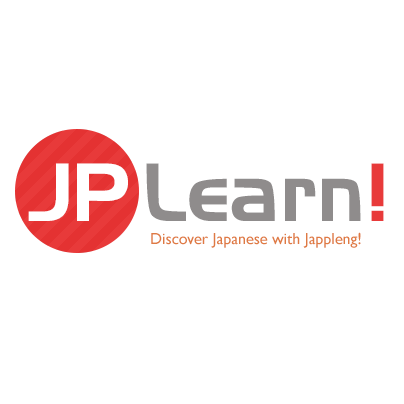 When な-adjectives are used as a predicate, な is removed and a copula is appended but if it comes before the topic, it remains the same. In today’s homework assignment, we will be learning new katakana, improve our existing knowledge about adjectives and practice sentence building. Once complete, please proceed to the second part of Japanese Adjectives to continue learning this deep exciting subject.